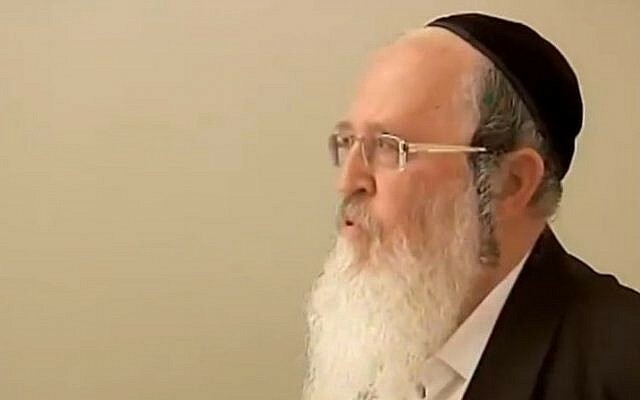 A prominent rabbi in northern Israel was sentenced to nine years in prison on Wednesday for committing sexual offenses against four minors, including by claiming he was acting under God’s instructions. Rabbi Yaakov Deutsch of the city of Afula was also ordered to pay hundreds of thousands of shekels in compensation to his victims, the Nazareth District Court ruled, in a sentence handed down three years after charges were first pressed against him. “Given [the rabbi’s] importance in the eyes of the victims, the extent of their trauma can only be imagined, falling prey to the defendant’s heinous and humiliating acts,” judge Tawfic Kteily stated in his verdict. According to the verdict, Deutsch, an important local figure in the lower Galilee city with a large following, abused his position to assault two boys and two girls, all minors. Deutsch met another one of his victims, a 14-year-old boy, during a visit to a graves of a Jewish sage, and invited him to his home, where he assaulted him. The case was first revealed in 2011, when Deutsch was detained by police.